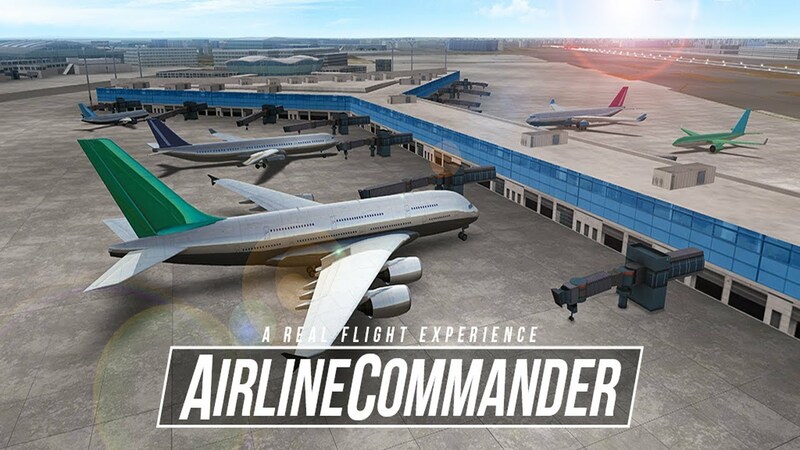 Flight simulation games are popular on PCs, and now you can experience what it is like to fly all over the world with Airline Commander from RORTOS. The game puts you in the cockpit of various aircraft and fly to and fro airports around the globe. You can also assemble a fleet and customize your flight. Airline Commander has an advanced and simplified control system option for players. The control interface is displayed at the bottom of the screen and as the plane takes off, dialog boxes appear at the upper right to guide you. Compared to full-blown flight simulators, Airline Commander is easier to get into. Press and hold the right button to turn on the engines and let go when the indicator is at 50%. You will be sent back to the flight panel and as your plane starts to move, add power and adjust the speed as necessary. Tap the lever to apply the brakes. Many types of planes are available including single deck, double deck, reaction, turbine and more. You also get to use hundreds of runways and airports all over the world. To make the simulation more realistic your plane goes through different situations like landing, taking off, in the air and so on. Airline Commander also has real-time air traffic, varied weather conditions, fly different routes and make money from contracts. As your skills improve so do the number of licenses you can apply for and the number of planes you can fly, great for repeat play.